Designed to meet your business needs now – and in the future – the new SureColor T-Series printers deliver presentation quality Print, Copy, Scan and Share features at best-in-class speeds saving you time and money. 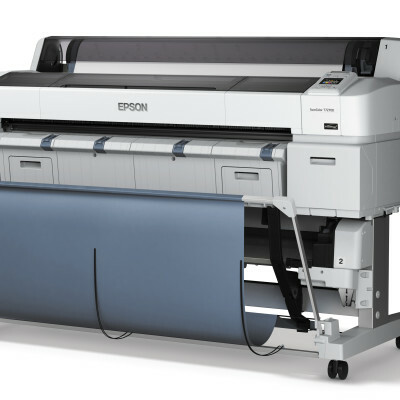 Never before has there been a large format color imaging system so capable of producing precise technical drawings, graphic posters, and retail signage at high speeds — that can also grow with your needs as your business thrives. 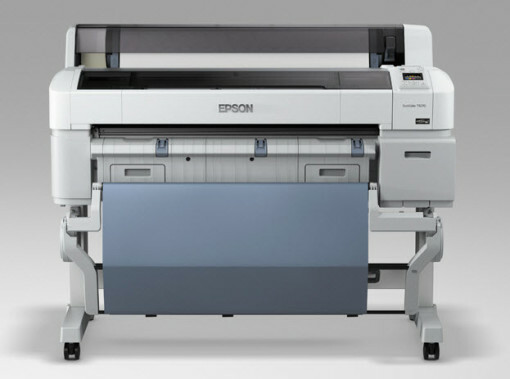 Developed using the latest advancements in performance imaging, like exotic EPSON PrecisionCore™ TFP® print head, EPSON REALOID image processing hardware, and breakthrough pigment ink technology – EPSON UltraChrome® XD – the all-new SureColor T-Series could be the way you’ll print your next big idea. 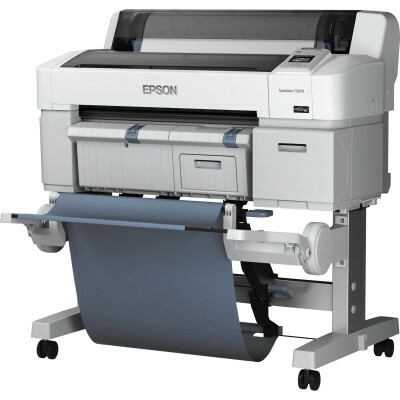 With three single-roll printer models available in 24″, 36″ and 44″ widths, the SureColor T-Series produces brilliant color with precise detail across a wide variety of media types and sizes. From standard plain bond paper to specialty photographic papers to even poster boards up to 1.5mm thick, the SureColor T-Series could be the most versatile four-color printers in their class.